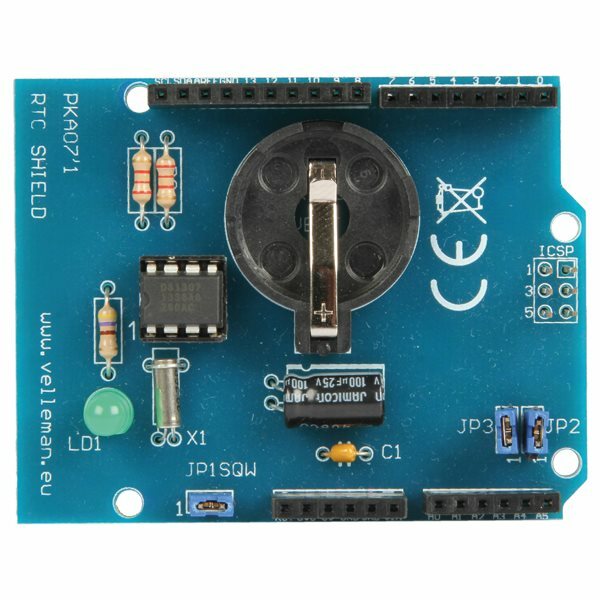 The RTC Real Time Clock Shield is an electronic kit that provides your Arduino with accurate time keeping abilities. 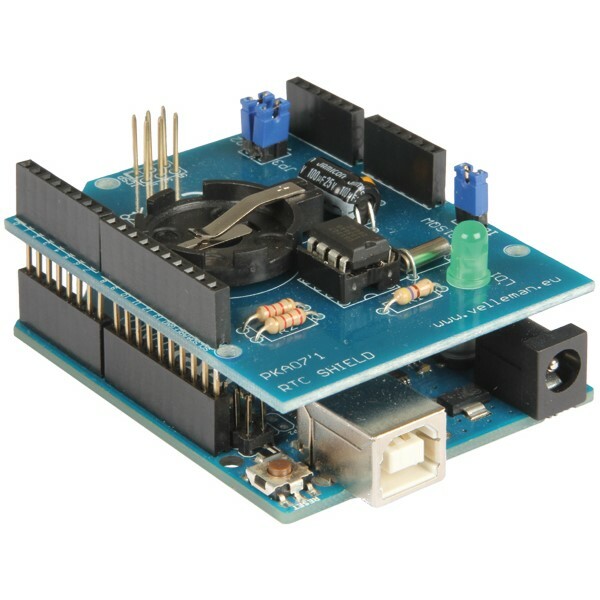 This kit creates a stackable Arduino shield with a built in DS1307 real time clock chip for accurate time keeping. 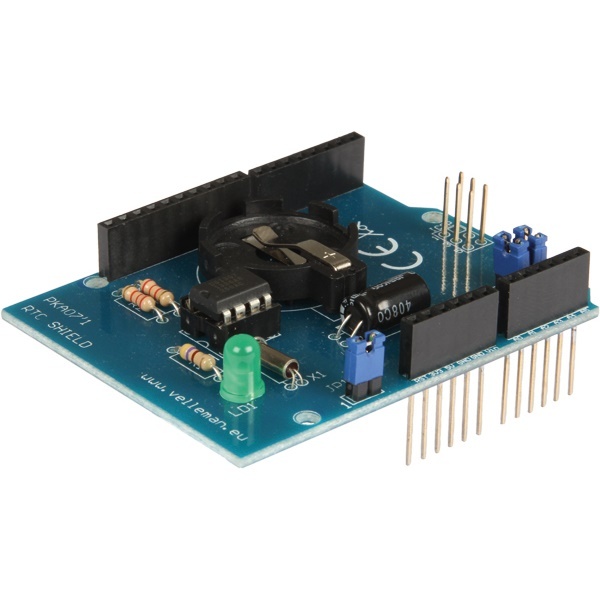 The Arduino interfaces with the DS1307 RTC chip using two pin I2C communications. The RTC keeps track of time in 12 or 24 hour mode as seconds, minutes and hours and date as day of week, day, month and year. The chip also provides 58 bytes of user memory for application usage. An optional battery allows the clock to keep ticking even when the Arduino is powered off. 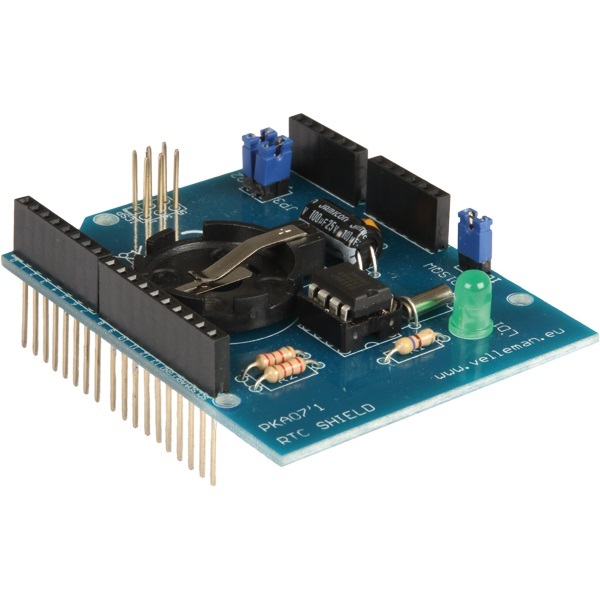 This Real Time Clock Shield is an electronic kit with through hole parts that requires intermediate level soldering skills. Optional battery backup requires a CR2032 coin battery.